Mon Cheri's Lightener is a lightweight cream made from the combination of active ingredients namely peptides, niacinamides, plant extracts and natural lactate. This lightener aims to not only tackle darkened skin complexion and irregularities in pigmentation, but it also halts the signalling pathways involved in the melanin synthesis. FYI when melanin synthesis is halted, it will lead to skin lightening, improve photoaging marks and control hyper-pigmentation. The advance technology infused in the making of this lightener encapsulates the active ingredients which then leads to the increase of absorption of product into the skin, through lipid-lipid interactions. Now, do you realize how cute the bottle is? Please agree with me! I am so in love with anything white, salmon pink and black! 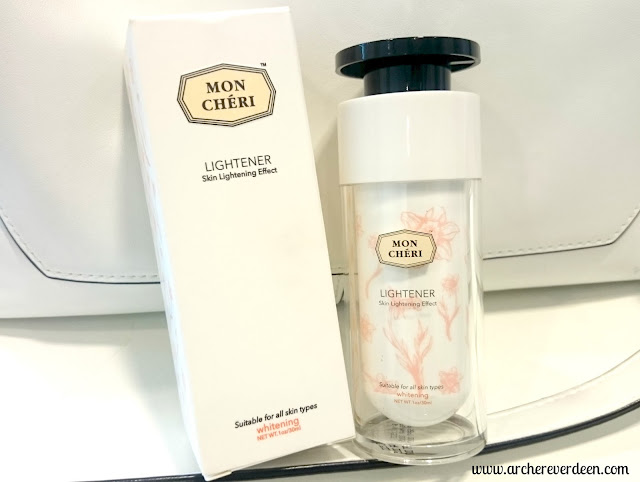 Those are my favourite colours and to have this Mon Cheri Lightener on my table is such a sight to behold! 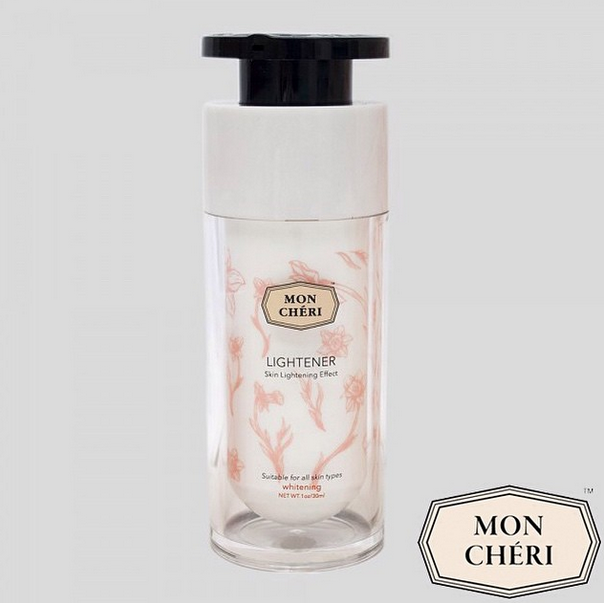 Okay, that sounds a bit exaggerated, but I don't care :p This Mon Cheri Lightener has a very subtle rose scent to it and it disappears after a few minutes. The cream's consistency is light, not too sticky and it dries/absorbs fast into my skin.